It's now 30 days until kickoff of Catamount football at Western Carolina's E.J. Whitmire Stadium. The Catamounts open the season on Thursday, August 30, 2012 against Mars Hill College. To help pass those long summer days until football season starts, and hopefully get the Catamount faithful more excited about the upcoming season, we'll continue the 100 day football countdown. Notes: Suffered a herniated disc in his lower back that required surgery during the off-season prior to the 2011 season ... Was scheduled to miss the entire 2011 football season - but was cleared during the season following rehabilitation, returning to the field in October ... Made the transition from quarterback to defensive secondary during the off-season following his freshman season. 2011 (Redshirt Sophomore): Returned to the field in mid-October, playing in six games with two starts in the defensive secondary ... Finished with 16 tackles including four solo stops ... Made three tackles including half a stop for loss in his season debut at Chattanooga ... Posted a season-high seven tackles against nationally-ranked Wofford ... Recorded seven tackles including one for loss in WCU's annual Spring Game. 2010 (Redshirt Freshman): Played in all 11 games making six starts including five-consecutive the second half of the season ... Finished with 50 tackles including 28 solo stops, 5.5 tackles for loss and 2.5 quarterback sacks from his hybrid linebacker position ... Made his first career start in the home-opener against Tusculum finishing with a career-high nine tackles with 1.5 sacks ... Recorded eight tackles including a career-best six solo stops at Wofford ... Stepped in front of an option pitch, intercepting the lateral and returning the fumble 51 yards for his first collegiate touchdown ... Twice named the team's defensive MVP, doing so after recording eight tackles and returning a fumble at Wofford and recording seven tackles at Elon in the season finale. Prior to Western: Played two years on varsity for head coach Carey Metts, garnering all-conference and all-state accolades in each of his final two seasons ... Tabbed the 2008 Mountain Athletic Conference (MAC) Offensive Player of the Year after combining for 2,839 yards of total offense with 32 touchdowns ... Concluded his career with over 3,300 yards rushing with 39 touchdowns, as well as over 2,600 yards passing and 19 scoring strikes ... All told, amassed over 6,000 yards of total offense ... Is believed to be the only player in North Buncombe HS history to be selected to play in the Shrine Bowl ... Also played basketball as a prep, averaging a double-double with 12.5 points and 13.2 rebounds per game in scoring over 1,000 points and pulling down 1,000 boards in his prep career. Personal: Full name is Randall Joseph Pressley ... Is the son of Daniel Folsom and Donella Pressley ... Has a younger sibling, Rolanda. It's now 31 days until kickoff of Catamount football at Western Carolina's E.J. Whitmire Stadium. The Catamounts open the season on Thursday, August 30, 2012 against Mars Hill College. 2011 (Sophomore): Transferred prior to the 2011 season ... Redshirted ... Named the defensive scout team player of the week following the Georgia Southern game. Prior to Western Carolina: Spent one season at the Univ. of Findlay in Findlay, Ohio; High School: Graduated from Pope High with a 3.6 cumulative GPA ... Named to the second team All-Defense in Cobb County, while also representing the county in the Senior Bowl. Personal: Is the son of Thom and Jane Watkins ... Was born in Naperville, Ill. ... Has two siblings; Sallie Watkins Robinson and a twin sister, Shelley ... His father, Thom, was an all-conference lineman at Southeast Missouri State. The second in a series of looks ahead at WCU 2012 football opponents. Date with Marshall: Saturday, Sept. 8, 7:00 p.m (TV - Fox College Sports (FCS)). Catamount fans may remember the Thundering Herd's Southern Conference days when the Catamounts started the all-time series with the Herd 8-0-2 from 1977 to 1986, but that was a different day. 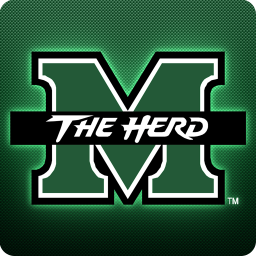 The Herd now owns a four game win streak, with the most recent meeting was 1996, a year that Marshall went undefeated and won the Division I-AA, (now FCS) national championship. Marshall, now a member of Conference USA wasn't necessarily one of the CUSA's better teams last season. While they did finish the season with a winning record, they were next to last in total yards in the conference, converted only 36.08% of third downs on the season (11ith in the CUSA), while scoring just 22 points per game. These and others stats resulted in an the Herd offensive unit being ranked 102nd in the nation. Marshall did have seven wins you say, yes they did. But, five of those wins were by one score or less, and the six of those seven victories were by ten points or less. They did win, but the season could have easily been real ugly win/lose record wise. On defense, Marshall has lost five of their top six tacklers, as well as, their two leading interceptors on a defensive unit that gave up more points than their offense scored, 28.6 points per game. Losing this much talent to graduation, the Herd will have many new faces in starting positions on defense. Will they be a cohesive unit by the time they play the Cats, only time will tell. With so much of their talent lost on defense, will Marshall be able to win those close games as they did last season? Doubtful. However, the Herd will have played one game prior to their game with WCU, playing at West Virginia. It's very doubtful if either their offense or defense has the opportunity to jell in that game. On offense, Marshall returns a a good bit of talent. QB Rakeem Cato was thrown into the fire as a freshman, but now, he has one year under his belt, and should be improved. Travon Van and Tron Martinez (649 yds rush) both return and with their top 5 receivers returning, including WR Aaron Dobson, Marshall's lone preseason all-conference selection, gives Marshall good talent in the skill positions. I certainly think the Catamounts can make a game of it, and not be embarrassed. Winning at Huntington will be very difficult, but not impossible. Update (9-2-12): The Thurndering Herd played #11 ranked West Virginia in the final Friends of Coal Bowl series, losing on the road by a final score of 69-34. The WV Mountaineers' balanced attack gained 331 yards rushing and 324 yards passing against the Herd. Marshall has now allowed more than 600 yards four times since 2009. Three of those have come in the last seven games. Prior to Saturday's 655-yard day from WVU, the Herd gave up 621 yards in a 63-28 loss to Houston on Oct. 22 and 682 yards in a 59-17 loss to Tulsa on Nov. 12. While the Herd defensive unit might not have jelled yet, the offensive unit was able to put up 545 yards of total offense against the Mountaineers, by way of an outstanding performance by sophomore quarterback Rakeem Cato. The sophomore QB completed 38-of-54 pass attempts for a career-high 413 yards and two touchdowns. Given our stable of running backs and ability to pass the ball, I think we'll be able to put up some points on the Herd defense. I'm not sure how successful our defensive unit will be to stop Cato and the air attack that is sure to come. Both defensive units may struggle in this game. It's now 32 days until kickoff of Catamount football at Western Carolina's E.J. Whitmire Stadium. The Catamounts open the season on Thursday, August 30, 2012 against Mars Hill College. 2011 (Redshirt Junior): Played in all 11 games as a defensive substitution and on special teams ... Finished with 21 tackles including seven solo stops and one tackle for a loss ... Had a tackle in all but one of the games he saw action ... Set a career-high with five tackles against top-ranked Georgia Southern ... Recorded his first career tackle for loss at nationally-ranked Appalachian State. 2010 (Redshirt Sophomore): Played in 10 of the 11 games on the season ... Made his collegiate debut in the season-opener at ACC-foe North Carolina State, recording his first career tackle ... Finished with six tackles on the season including four solo stops ... Set a career-high with three tackles in a road win over Gardner-Webb. 2009 (Redshirt Freshman): Did not see game action. Prior to Western: Was a two-time All-South Piedmont 3-A Conference selection ... Also garnered All-County honors as a senior ... In his final season as a prep, tallied 154 total tackles, including 85 solo stops and five sacks ... Was a part of the Concord High State Championship team his junior year, finishing 13-3 overall. It's now 33 days until kickoff of Catamount football at Western Carolina's E.J. Whitmire Stadium. The Catamounts open the season on Thursday, August 30, 2012 against Mars Hill College. 2011 (Redshirt Sophomore): Played in six games, seeing most of his action on special teams ... Rushed four times for eight yards including a career-long rush of five yards ... Returned one kickoff 13 yards as an up-back ... Named to the Dean's List at WCU. 2010 (Redshirt Freshman): Saw action in three games during the season, making his collegiate debut on the travel squad at Wofford ... Did not record any official stats. It's now 34 days until kickoff of Catamount football at Western Carolina's E.J. Whitmire Stadium. The Catamounts open the season on Thursday, August 30, 2012 against Mars Hill College. 2011 Sophomore: Transferred to Western Carolina from Middle Tennessee State prior to the spring semester ... Took part in WCU's spring drills. Prior to Western Carolina: 2010: Was on roster at Middle Tennessee State but did not dress and did not see game action; 2009: Started at Mississippi Valley State before transferring to MTSU; High School: Lettered in both football and track at Easley HS ... Was second in the state of South Carolina at the 2009 Weight Lifting Competition in his weight class. Personal: Full name is Brandon Howens Grady ... Is the son of Ernie and Sandra Grady. The first in a series of looks ahead of WCU 2012 football opponents. For the second straight year, the Mountain Lions of Mars Hill College will travel to Cullowhee to meet the Catamounts in E.J. Whitmire Stadium. The Mountain Lions and Catamounts first met in 1931. This game will mark the opening of the Mark Speir era in Catamount Football. Last season, the Lions opened the home portion of the Catamount schedule, but this year, Mars Hill serves as the season opener for the hungry Catamounts. The Cats won last season’s game by a final score of 52-31, ultimately it was to be the lone win in a very long, 1-10 season for the Catamounts. Meanwhile, veteran Mars Hill head coach Tim Clifton led his Lions to a 8-3 season in 2011. The Lions won the South Atlantic Conference (SAC) championship and competed in the NCAA Division II national football playoffs. In December 2011, running back Jonas Randolph won the prestigious Harlon Hill Trophy which is given each year to the best player in NCAA Division II football. Coming off the program's first-ever selection to the NCAA Division II Football Championship, the Lions placed Tight End Josh Crumpton and defensive lineman Troy Harris on preseason all-america team honors. Crumpton earned third-team honors, Harris was an honorable mention selection. Clifton is starting his 20th season as Mars Hill’s head coach, and begins the season owning a 106-94 record. His Lions completed last season ranked 19th in the nation. The Lions are returning a total of 46 lettermen, including 6 starters on offense and 9 starters on defense. The Lions are sure to be in the race for another conference title in 2012. Senior Jon Richt (6-2 / 210lbs) returns to lead Mars Hill as the starting quarterback. While all-everything running back Jonas Randolph has graduated, sophomore running back Shaikel Davis will sholder the weight of the running game this season. In 2011, Davis played in 9 games, averaging 41 yards per game, at 8.5 yards per carry. Richt also has returning two wide receivers that are his favorite passing targets. Sophomore Dimitri Holmes averaged 78 yards per game, and senior Josh Young averages 59 yards per game. Coming off a share of the SAC title in 2011 and the program's first-ever selection to the NCAA Division II Football Championship, the Lions placed Tight End Josh Crumpton and defensive Troy Harris on preseason all-america teams. Crumpton earned third-team honors, Harris was an honorable mention selection. Five Lions earned First-Team All-Conference honors on the 2012 SAC football preseason All-Conference Team, while three were placed on the second team. First-Team Offense members included wide receiver Dimitri Holmes and offensive lineman Nick Allison. First-Team Defense members included defensive lineman Troy Harris, linebacker Rudy Cabral and defensive back Marvin James. Quarterback Jon Richt, offensive lineman Neal Dwyer and defensive lineman Mam Nyang all earned second-team honors. Expect this to be a very emotional game for the Lions, one they will expect to be competitive with the Catamounts at home, and ruin Coach Speir's head coaching debut. The latest speculation from a-far. According to The Virginian-Pilot: "Media reports indicate that the College of Charleston, which does not play football, is likely to jump from the Southern Conference to the CAA. Davidson appears likely to reject a bid from the CAA and remain in the Southern Conference, according to media reports. The State University of New York at Stony Brook appears to be the most likely football expansion candidate." So, this means that UNCW gets a southern travel partner, the SoCon loses a non-football playing school and a little drop in basketball RPI. To bad the SoCon didn't try to beef up SoCon basketball by adding UNCW and ETSU. 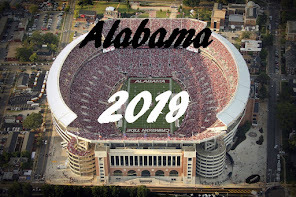 Since we lost that opportunity, why not now look to the future, bring in a couple of football schools, because we all know ASU/GSU will leave when the FBS comes a calling. It's now 35 days until kickoff of Catamount football at Western Carolina's E.J. Whitmire Stadium. The Catamounts open the season on Thursday, August 30, 2012 against Mars Hill College. Prior to Western Carolina: Two-way player that broke the East Bladen High career rushing (4,715 yards) and touchdown (87) records ... Was a three-time all-conference and all-county selection, garnering all-area plaudits his final two seasons ... Helped the Eagles post a 48-9 overall record including three Waccamaw Conference championships ... Caught 69 passes for 1,273 yards and 12 scores ... Played in the state championship game as a true freshman, joining the varsity team after eight games ... Gained over 1,000 yards for the jayvee squad ... Also played baseball as a prep, earning both all-conference and all-county accolades in the outfield. Personal: Full name is Glenn A. McKoy ... Is the son of Glenn McKoy and Latisha Wooten ... Has two younger siblings ... His grandfather, Glenn McKoy Sr., coached high school football for 27 years and is a member of the Fayetteville State Football Hall of Fame ... His grandmother is Phyllis McKoy. Aaron Attaway - Thomasville (N.C.) HiToms, Coastal Plain League: Has started 37 of the 38 games in which he's seen action ... Has struggled with just a .175 batting average with the wooden bats, collecting 24 hits including six doubles and two home runs ... Has 11 RBI and 19 walks ... Is a perfect 6-for-6 in stolen bases. Hunter Brister - Rockbridge (Va.) Rapids, Valley League: Left the Tennessee Big Train to join Rockbridge in the Valley League ... Three of his four appearances with Tennessee were starts, posting a 2-1 record ... Has made six appearances since joining the Rapids, tossing 4.2 innings with a 0-1 record. Adam Curtis - Waynesboro (Va.) Generals, Valley League: Has made seven appearances, all starts ... Has a 3-1 overall record and a 4.02 ERA through 40.1 innings tossed ... Has 25 strikeouts against 11 walks ... Only eight of the 43 hits he's allowed on the summer has gone for extra bases ... Earned the Generals' pitcher of the week honor earlier this summer. Bryce Danielson - Forest City (N.C.) Owls, Coastal Plain League: Has made 11 appearances including two starts on the summer, tossing 21.2 innings with a 0-1 record and one save ... Struck out 16 batters against 22 walks issued with just five of the 18 hits surrendered going for extra bases. William Frazier - Lake Norman (N.C.) Copperheads, Southern Collegiate Baseball League: Has made two relief appearances, combining to toss two innings with a 4.50 ERA ... Allowed one earned run on two hits, working around two walks with three strikeouts. Luke Gragg - Lake Norman (N.C.) Copperheads, Southern Collegiate Baseball League: Batting .266 (17-for-64), having seen action in 23 games this summer ... Has legged out three doubles ... Has also driven in 11 runs ... Has walked and been plunked five times. Preston Hatcher - Yarmouth-Dennis Red Sox, Cape Cod League: Joined the squad later in the summer ... Has made 11 relief appearances with a 0-1 record and a 3.46 ERA ... Through 13 innings pitched, has 15 strikeouts against five walks. Jacob Hoyle - Waynesboro (Va.) Generals, Valley League: Ranks third on the team with a .354 (51-of-144) batting average with 16 extra base hits including eight doubles and a triple and seven home runs ... Has a .569 slugging percentage ... Has driven in 34 RBI ... Has also pitched nine for a combined 12 innings with a 2-1 record and a 1.50 ERA ... Has walked 12 against 17 strikeouts giving up three runs, two of which were earned ... Was selected as the Generals' player of the week earlier in the summer ... Named to the midseason All-Star team in the Valley League. Cody Jones - Gastonia (N.C.) Grizzlies, Coastal Plain League: Is batting .285 to rank third on the team, collecting 45 hits in 158 at bats with five doubles ... Has played in 42 games making 40 so far this summer ... Recorded 13 RBI on the season ... Has 10 stolen bases in 14 attempts. Adam Martin - St. Cloud (Minn.) Rox, Northwoods League: Is batting .261 through 23 games this summer, collecting 24 hits including five doubles and two home runs ... Has nine RBI with a stolen base. Tyler Powell - Gastonia (N.C.) Grizzlies, Coastal Plain League: Has made 15 appearances this summer with one start ... Has a 1-1 record and a 6.38 ERA ... Has tossed 24.0 innings collectively, striking out 12 against 15 walks with opponents hitting .286 against him ... Has surrendered 19 runs, 17 of which have been earned. Julian Ridings - Waynesboro (Va.) Generals, Valley League: Leads the Valley League with a .430 batting average on the summer with 23 extra base hits including 14 doubles, three triples and six home runs ... Is 15-of-17 in stolen bases ... Has 35 of the 39 games in which he has seen action ... Ridings has been the Generals' player of the week twice this season ... Named to the midseason All-Star team in the Valley League. Austin Neary - Wisconsin Rapids Rafters, Northwoods League: Ranks third on the team with a .301 batting average (52-of-173) ... Has 16 extra base hits including a team-best 10 doubles, one triple and five home runs ... Has scored 22 runs ... Has eight stolen bases in 12 attempts. Bryant Noteboom - Wilson Tobs, Coastal Plain League: Played in 17 games, making 55 at bats with West Virginia in the Prospect League before leaving the squad ... Was batting .218 with three doubles ... Joined the Coastal Plain League team and Wilson ... Has played in four games with one start since joining the Tobs, going 3-for-9 (.300) with a double. Danny Schneider - 6-4-3 Cougars (Georgia), Sunbelt League: Has made four appearance on the summer (12.00 ERA), working six innings of one-hit relief ... Has issued 12 walks with three strikeouts. Jordan Smith - Cotuit (Mass.) Kettleers, Cape Cod League: Has made six appearances including three starts this summer in the Cape ... Has worked 19.1 innings with a 6.52 ERA and a 1-3 record ... Has posted 13 strikeouts against five walks. Dykota Spiess - Forest City (N.C.) Owls, Coastal Plain League: Has played in 32 games, making 28 starts ... Is batting .200 (19-for-95) with six doubles and a home run ... Posted seven RBI and is a perfect 4-for-4 in stolen bases. Bradley Strong - West Virginia Miners, Prospect League: Ranks second on the team - and seventh in the league - with a .366 batting average (64-of-175) with 12 extra base hits including eight doubles, four triples and a home run ... Has driven in 25 runs and has scored 40 ... Stolen 20 bases in 24 attempts ... Named a starter for the East Division in the Prospect League All-Star game. Tyler White - Gastonia (N.C.) Grizzlies, Coastal Plain League: Leads Gastonia with a .299 batting average, having collected 46 hits in 154 at bats including 10 doubles and three home runs ... Has driven in 26 runs on the summer ... Was named a CPL All-Star, earning Offensive MVP honors in the game. The July 24th edition of Cat Chat on Big Wise radio (ESPN 1310), with Catamount Head Football Coach Mark Speir. It's now 36 days until kickoff of Catamount football at Western Carolina's E.J. Whitmire Stadium. The Catamounts open the season on Thursday, August 30, 2012 against Mars Hill College. 2011 (Freshman): Saw action in all 11 games on special teams, handling kickoffs ... Kicked 41 times for 2,161 yards with one touchback, averaging 52.7 yards per kick ... Booted two out-of-bounds ... Kicked off a career-high nine times in the home-opener against Mars Hill ... Named to WCU's Dean's List. Prior to Western Carolina: A two-time All-Mega-7 Conference selection who garnered first team Gaston Gazette honors as a senior ... Was named Dynamic Performance Sports 2010 Kicker of the Year... Finished his prep career 16-for-21 on field goal attempts including four field goals of over 40 yards during his senior season ... Held a 38-yard punting average as a senior ... Went 6-for-7 on field goals as a junior with his lone miss of the season blocked ... Was a 4.5 star kicker by Chris Sailer kicking exposure camp ... Additionally played club soccer for the North Meck Soccer Club for seven years. Personal: Full name is Richard DeWitt Sigmon ... Is the son of Mike and Jeannie Sigmon. To celebrate the ESPN Asheville / Catamount Sports Network partnership - as well as to gear-up for the upcoming 2012 season of Catamount Football - a special "Purple Party" will be held at the Hickory Tavern (www.thehickorytavern.com) in Biltmore Park, 30 Town Square Blvd., Asheville on Wednesday, July 25 beginning at 5:00 pm. Heavy hors d'oeuvres will be served with a cash bar, as well as the traditional 50-cent wing night and trivia at the Hickory Tavern. The open event is slated for the outdoor patio at the Hickory Tavern and will include airing of the WISE Guys show - Western North Carolina's only local daily sports show - on the in-house PA until 6:00 pm. Both WCU Director of Athletics, Randy Eaton, and first-year head football coach Mark Speir are scheduled as special call-in guests on the show. Just after 6:30 pm, Speir, Eaton and Ken Carson - the operations manager for the Asheville Radio Group - will all address those gathered. Those in attendance will also have the chance to register for gift card prizes, WCU football season tickets and Hickory Tavern gifts as a part of a special raffle. Fans in attendance can also see the new Catamount football headgear up close that night. Spartanburg, SC - The Southern Conference will host its 2012 Football Media Day on Thursday (July 26) at the Spartanburg Marriott. All nine head coaches and select student-athletes from each school will be on hand to meet the media and preview the upcoming season. Following a luncheon Southern Conference Commissioner John Iamarino will address the full group in attendance prior to the open media session. The afternoon media availability will be streamed live through the Southern Conference web site with Darren Goldwater and Doug Chapman serving as hosts. They will be joined by all nine head coaches throughout the afternoon and will close the broadcast with an interview with Commissioner Iamarino. The full session will be archived on the SoCon web site. It's now 37 days until kickoff of Catamount football at Western Carolina's E.J. Whitmire Stadium. The Catamounts open the season on Thursday, August 30, 2012 against Mars Hill College. 2011 (Freshman): Redshirted ... Selected as WCU's defensive scout team player of the week following the Wofford game ... Named to WCU's Dean's List ... Held out of the 2012 spring drills due to injury. Prior to Western Carolina: Played defensive end and outside linebacker for the Charlotte AFC Rangers, a team that is a part of the Carolinas Christian Athletic Association (CCAA) ... Earned first team all-conference accolades at outsidel inebaker and punter his senior season, as well as second team All-CCAA as a kicker helping guide his team to the conference and state title is his final year as a prep ... Picked up all-conference plaudits at defensive end his junior year ... As a sophomore, was awarded second team all-conference at outside linebacker. It's now 38 days until kickoff of Catamount football at Western Carolina's E.J. Whitmire Stadium. The Catamounts open the season on Thursday, August 30, 2012 against Mars Hill College. 2011 (Sophomore): Played in all 11 games handling most of the placekicking duties on field goal and PAT attempts ... Finished 4-for-7 on field goal attempts ... Was a perfect 32-for-32 on PAT opportunities including a career-high seven in the home win over Mars Hill ... Led the team in scoring with 44 combined points, posting 10 points against MHC ... Punted five times at Samford following an injury to Blake Cain, averaging 36.0 yards per kick ... Was twice named the team's special teams player of the week, earning the first honor against Elon after booting a 38-yard field goal and finishing 4-for-4 on PATs ... Garnered his second team weekly honor after nailing a career-long 51-yard field goal against Wofford ... Credited with one solo tackle on the season ... Named to WCU's Dean's List. Prior to Western Carolina: Committed to and signed with North Carolina out of North Mecklenburg HS where he was an all-conference punter and kicker ... Will have three years of eligibility remaining... Is unique in that he punts left footed and place kicks right footed ... Can also rugby-style punt ... Selected to the North Carolina Shrine Bowl ... Finished in second place at the 2008 Southern Kicking Classic in punting (best average, best single hangtime) and on kickoffs (best average, best single hangtime). Latest unverified rumor being spread by the press and other blogs. "Per Jeff Hartsell of the Charleston Post and Courier, the College of Charleston board of trustees athletic committee is meeting on Tuesday to discuss changing from the SoCon to the CAA." Western Carolina University volleyball coach Karen Glover announced the hiring of assistant coaches Nicole McCoy and Jamie Stancliff to the Catamount coaching staff effective immediately. McCoy comes to Cullowhee from the University of South Alabama where she served as an assistant coach. Stancliff just graduated from East Tennessee State University where she lettered for four years for the Buccaneers. It's now 39 days until kickoff of Catamount football at Western Carolina's E.J. Whitmire Stadium. The Catamounts open the season on Thursday, August 30, 2012 against Mars Hill College. Prior to Western Carolina: Selected to the Cobb Senior Bowl as a senior ... Three-year letter winner that played both as a running back and defensive back in high school, rushing for 1,249 yards in three seasons including 557 and five touchdowns as a senior ... Caught 30 passes for 389 yards and three TDs ... Defensively, tallied 115 total hits including 59 solo stops and one interception ... Named team's defensive player of the year and offensive back of the year as a senior ... Earned Cobb County Offensive Player of the Week plaudits during his junior season and picked up defensive weekly honors in his final year ... Joined by high school teammate, quarterback C.J. Goodman, to sign at WCU in 2012. Personal: Full name is Sertonuse I. Harris Jr. ... Is the son of Qudeski Curtis Sr., and Shauntel Strozier ... Has four siblings ... His cousin, James Davis, played college football at Clemson before going on to play for the Detroit Lions ... His grandfather, Roy Harris, also played pro football for both Atlanta and Tampa Bay. It's now 40 days until kickoff of Catamount football at Western Carolina's E.J. Whitmire Stadium. The Catamounts open the season on Thursday, August 30, 2012 against Mars Hill College. It's now 41 days until kickoff of Catamount football at Western Carolina's E.J. Whitmire Stadium. The Catamounts open the season on Thursday, August 30, 2012 against Mars Hill College. 2011 (Sophomore): Played in all 11 games with six starts including the first four games to start the season ... Finished tied for fourth on the team with 56 tackles, tallying 29 solo stops and 4.5 tackles for loss ... Credited with two pass break-ups and pounced on a fumble in the season-opener at Georgia Tech ... Intercepted two passes on the year, making his first career interception against Elon before picking off his second in the season finale against Coastal Carolina ... Recorded at least two tackles in all 11 games ... Charted nine tackles against Wofford ... Finished the season with a career-high 15 tackles against Coastal Carolina. 2010 (Freshman): Saw action in all 11 games making four starts as a true freshman ... Saw his first collegiate start at Wofford ... Finished with 26 tackles on the year including 12 solo stops and three tackles for losses ... Credited with one quarterback hurry ... Recorded four tackles in his collegiate debut at North Carolina State ... Tallied a career-high 10 tackles including three solo stops and one for a loss against Georgia Southern ... Had seven stops in the season finale at Elon. Prior to Western Carolina: Named to the All-Southwestern 4A Conference Football Team at linebacker ... Was a part of the 13-1 Independence team in 2008 ... Also ran track & field at Independence HS competing in the 110-meter high hurdles as well as triple and high jumps ... Ranked inside the top 20 among those three events. WCU will host the "ESPN Radio / Purple Party" on Wednesday, July 25, at the Hickory Tavern in Asheville's Biltmore Park to help gear up for the 2012 season. Fans in attendance can see the new Catamount football headgear up close that night. The following day, the preseason All-SoCon teams and projected standings by both the league's nine head coaches and voting media will be released as a part of the annual Media Day that will be held at the Spartanburg Marriott on Thursday, July 26. Western Carolina and the Catamount Club will host the "unofficial kickoff" to fall with the Western Open on Wednesday, Aug. 1 with the squad officially reporting for fall camp on Thursday, Aug. 2. "First practice of the fall season is scheduled for Friday, Aug. 3. Cullowhee, NC - It's now 42 days until kickoff of Catamount football at Western Carolina's E.J. Whitmire Stadium. The Catamounts open the season on Thursday, August 30, 2012 against Mars Hill College. 2011 (Sophomore): Played in nine games, all coming as a reserve along the defensive line or on special teams ... Finished with nine tackles including four solo stops and one tackle for a loss ... Posted a career-high four stops including the TFL at nationally-ranked Appalachian State ... Both forced and recovered a fumble to go along with three tackles including a quarterback sack for a safety in WCU's annual Spring Game. 2010 (Freshman): Saw action in seven games, all coming in succession during the second half of the season ... Recorded two tackles with assists at The Citadel and against Georgia Southern ... Made the transition from linebacker to defensive lineman during spring drills. Prior to Western: Was a three-sport standout who amassed an impressive total of 20 awards and honors in football, basketball and track including Best Linebacker, Spartanburg Touchdown Club Defensive Player of the Week and All-Region in football; Most Valuable Player, Coaches Award and Leading Rebounder in basketball; and All-State in track ... Listed as a two-star prospect by Rivals.com ... In his final two seasons on the gridiron, accounted for 257 total hits including 134 tackles as a senior ... Was selected as a 2009 Carolina Panthers Community Captain which recognizes high school football student-athletes in North and South Carolina who excel in the classroom, in the community and on the field ... Was a member of the Fellowship of Christian Athletes and Spartanburg High School's Black History Club and was also selected to attend the Palmetto Boys State at USC in Columbia. Personal: Is the son Sherrell Whitmire ... Has one sibling, Kemesha. Cullowhee, NC - Not to be outdone by the women's golf team, the WCU women's basketball team has been named to the 2012 WBCA Academic Top-25, ranking 13th with a combined team GPA of 3.406. The Catamounts are the only SoCon member to take a spot in the 2012 WBCA Academic Top-25 and one of only two teams in the Southeastern to be named to the honor roll. "We are very proud of our team for their hard work in the classroom," said Head Coach Karen Middleton. "Each of our student-athletes are committed and motivated to performing at their very best in all aspects of their lives. We take pride in setting a high standard and representing Western Carolina on and off the court." Cullowhee, NC - On the heels of five Catamount golf student-athletes being named to the National Golf Coaches Association (NGCA) Academic All-American Scholars list, the WCU women's golf team is ranked ninth in the nation in overall highest team grade point average. Joined in the top 25 ranking was the SoCon's second enrty, coming it at #21, Chattanooga. The Catamounts boasted a team GPA of 3.708 last academic years. The top 25 list includes schools from all three NCAA Divisions, as well as NAIA and NJCAA schools. 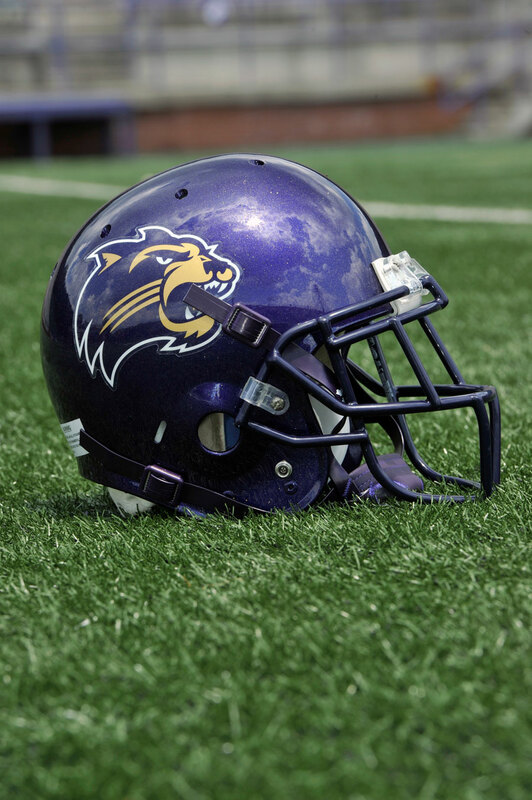 Cullowhee, NC - According to Uniwatch (a uniform website) the Catamounts will return to purple helmets for the 2012 football season. This means a departure from the gold helmets brought to the Catamounts by former head coach Dennis Wagner in 2008. Cullowhee, NC - It's now 43 days until kickoff of Catamount football at Western Carolina's E.J. Whitmire Stadium. The Catamounts open the season on Thursday, August 30, 2012 against Mars Hill College. 2011 (Sophomore): Appeared in all 11 games making three starts at linebacker at mid-season ... Made his first collegiate start against Furman, collecting nine tackles ... Finished seventh on the team with 48 total tackles including 23 solo stops and one tackle for loss ... Posted a tackle in all 11 games ... Forced a fumble and tallied his first career interception to go along with five tackles against Elon ... Recorded a career-high 10 tackles against Wofford ... Returned four kickoffs as an up-back for 35 yards including a long of 11 yards ... Named to the 2011 Southern Conference Fall Academic All-Conference team and to WCU's Dean's List. 2010 (Freshman): Played in seven of the 11 games on the season but did not record any official stats ... Recorded a pass breakup during the short scrimmage segment of the team's final spring practice. Prior to Western: Played for head coach Chip Lindsey at Lassiter High in Marietta, Ga. ... Earned second team All-County both his junior and senior seasons accumulating over 200 tackles during that same span ... Garnered Defensive Player of the Week plaudits four times between his junior and senior seasons ... Helped guide Lassiter to a Region 6AAAAA Championship in 2009 as a senior captain with an undefeated, 10-0, season ... Returned an interception for a touchdown in a win over South Gwinnett HS during his senior season. Personal: Is the son of Gary and Sarah Stokes ... Has two sisters, Brittany and Alyssa ... His youngest sister, Alyssa, plays collegiate basketball at North Georgia University. Cullowhee, N.C. - The Western Carolina women's golf team landed a Southern Conference-best five golfers on the 2011-12 National Golf Coaches Association (NGCA) All-American Scholar teams. Three seniors, Christina Amoriello, Blaire Minter, and Rachel Nelson, as well as, two freshmen Katie Kile and Maria Kjelldorff are the golfers honored. The All-American Scholar teams have some of the most stringent criteria in all of college athletics. The minimum cumulative grade point average is a 3.50. This is the 12th year WCU has put golfers on the All-American Scholar team, with this years five selections representing the most in program history. "The women's golf team at Western Carolina has had a long-standing tradition of academic excellence. Our student-athletes are extremely focused when it comes to their studies," said head coach Mallory Hetzel. "Having five NGCA All American Scholars in one year is almost unheard of in women's golf. It was nice to see our seniors end their careers with a well deserved award and equally impressive to see our freshman contribute to our academic success." The July 17, 2012 listing of "Ask Director of Athletics Randy Eaton"
Would it be possible to utilize the intramural fields for parking during football games, especially during the bi-annual Appalachian State game? We are actually looking to use those fields this year for the Thursday night game against Mars Hill, but only as a last resort due to weekday parking limitations. The fields do have extensive irrigation systems which can be damaged or destroyed by too much vehicular traffic. My suggestion is to join the Catamount Club, thereby guaranteeing yourself a parking spot at all home games! A lot of us in tailgating circles would like to see future football games against Southland Conference members, such as Stephan F. Austin, Sam Houston State or McNeese State. Any chance this will happen soon? In short, the answer is no. These games generate no additional revenue and the cost is exorbitant to take a team to schools that far away. For the immediate future, we will work with regional FCS schools in the Big South, Colonial Athletic Conference and the Ohio Valley to schedule home and home series. The teams from the Southland would not add enough additional ticket sales in the return game years to offset the cost of traveling to their place, nor would the ticket sales be enormously different than what we would generate from playing teams from these other conferences. Why is there such a small amount of apparel available to Catamount Nation? From the vendors I have spoken with the one reason I hear constantly is lack of demand. I have talk to representatives at national chain stores as well as small business owners from Cullowhee to Asheville, and each one has told me the same thing, they cannot move enough inventory. We try to offset this by having an online store on our website. While we work with regional vendors to increase their inventory, I would suggest checking out our website in the meantime. Why is the Mars Hill game slated for 8 PM kick-off? Aren’t you afraid this will hurt attendance? We needed to move the game back to give ourselves time between the end of the business day on campus (5 PM) and the start of the game. Had we tried to play this game any earlier we were facing major parking issues (much larger than normally experienced) due to the campus community still being at work and in class while our fans were searching for a spot to park. Although not perfect, an 8 PM start allows us to focus on the experience our fans have come to expect prior to each home game. In addition, with this being Coach Speirs’ first game, we are hoping the fans will come out regardless of what time the game begins! Cullowhee, NC - It's now 44 days until kickoff of Catamount football at Western Carolina's E.J. Whitmire Stadium. The Catamounts open the season on Thursday, August 30, 2012 against Mars Hill College. Cullowhee, NC - ESPN Radio - 1310 AM - Big WISE in Asheville (and simulcasts on WYSE 970 AM in Canton) joins the Catamount Sports Network (CSN) for coverage of Catamount Football beginning with the upcoming 2012 football season. ESPN Radio 1310 AM is based out of Asheville and thus expands the Catamount Sports Network's footprint across Western North Carolina. Big WISE radio adds an over-the-air presence for CSN in Buncombe County, the largest concentration of WCU alumni in the state. "We are very excited about the addition of ESPN Radio 1310 & 970 AM to the Catamount Sports Network in carrying Catamount football," said Randy Eaton, Western Carolina Athletics Director. "With such a large portion of our fan base and alumni located within the listenership of both 1310 AM and 970 AM, this partnership is a big victory for Catamount Athletics. Being affiliated across the Asheville Radio Group including segments with the Wise Guys daily talk show will greatly increase the exposure of Catamount Athletics across our region." 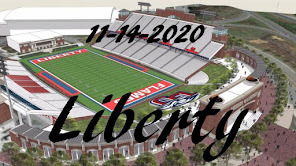 Statesboro, GA - According to Colonial Athletic Association commissioner Tom Yeager's interview with the Richmond Times-Dispatch last week, the CAA has still not made any offers for new members. However, in an article published by Statesboro Herald last week, GSU athletics director Sam Baker is quoted as saying "There’s been an invitation from the Colonial to Davidson and Charleston," Baker said. "We’ve not heard, as conference members, where that may lead." So, who do we believe? Why would a conference commissioner flat out say no offers have been made, if in fact Charleston and Davidson had in fact received offers? I know that everyone wants to keep any potential moves close to their vest, however, how about a "no comment" or not speaking out of turn, if you don't know the facts. That goes for the CAA and GSU. College Football, how we do love it. 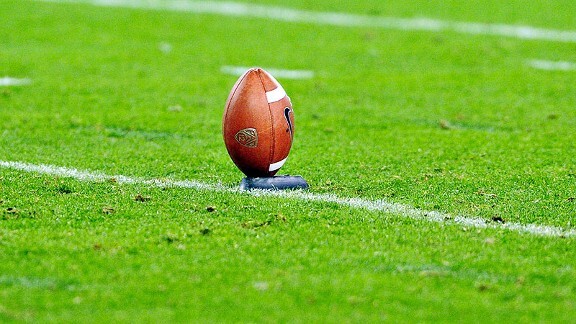 Five new college football teams will take the field for the first time during the 2012 football season, and 17 more programs set to launch between 2013 and 2015. The rationale for adding football varies at each institution. Most schools fielding a new football team hope to create a more vibrant on-campus community, and feel that football helps in connecting with their alumni. Small colleges cite increasing enrollment and addressing gender imbalances, while larger universities feel football will raise the school's profile and help in their ability to attract research grants. -Bluefield College (Bluefield, Va.): NAIA, Mid-South Conference - Athletics Director Peter Dryer, Head Coach Mike Gravier. -Lindenwood University-Belleville (Belleville,Ill. ): NAIA, Independent - Athletics Director Scott Spinner, Head Coach Jeff Fisher. -Misericordia University (Dallas, Pa.): NCAA Division III, Middle Atlantic Conferences - Athletics Director Dave Martin, Head Coach Mark Ross. -Wayland Baptist University (Plainview, Texas): NAIA, Central States Football League - Athletics Director Dr. Greg Feris, Head Coach Butch Henderson. Cullowhee, NC - It's now 45 days until kickoff of Catamount football at Western Carolina's E.J. Whitmire Stadium. The Catamounts open the season on Thursday, August 30, 2012 against Mars Hill College. Notes: Joined the Western Carolina football team prior to 2011 spring drills. 2011 (Junior): Saw action in all 11 games, primarily on special teams but also along the defensive front ... Finished with three tackles on the season including two solo stops ... A war veteran, Woodard led the Catamount football team onto the field wielding an American Flag prior to the Sept. 10 game against Mars Hill ... Was a twice named the team's defensive scout player of the week, garnering the honors for work prior to both the Georgia Southern and Chattanooga games. Prior to Western Carolina: Played both football and wrestled in high school ... Entered the United States Army following his graduation from Smoky Mountain HS, serving two combat tours of duty in Iraq ... Cited with Combat Duty recognition in the infantry, earning his honorable discharge prior to enrolling at Western Carolina Univ. Personal: His father was an all-state and all-conference football player in Chattanooga, Tenn., before playing collegiately at East Tennessee State. Cullowhee, NC - It's now 46 days until kickoff of Catamount football at Western Carolina's E.J. Whitmire Stadium. The Catamounts open the season on Thursday, August 30, 2012 against Mars Hill College. Cullowhee, NC - It's now 47 days until kickoff of Catamount football at Western Carolina's E.J. Whitmire Stadium. The Catamounts open the season on Thursday, August 30, 2012 against Mars Hill College. 2011 (Redshirt Freshman): Did not see game action ... Was named the defensive scout team player of the week prior to the Elon game ... Recorded an interception, returning it 27 yards for a touchdown, and forcing a fumble in WCU's annual Spring Game. 2010 (Freshman): Did not see game action, taking a redshirt ... Was named the offensive scout team player of the week prior to the Wofford game ... During the spring, converted to defensive back. Irving, TX - Conference USA officials announced that the Western Carolina-Marshall football game scheduled for Sept. 8, will be televised by Fox College Sports. The WCU-Marshall game is the first between the two schools in 16 years, since Marshall departed the Southern Conference. The game, originally scheduled at 6:30 p.m. has been moved to 7 p.m. ET. Richmond, VA - Normally, we would not cover the Colonial Athletic Association. However, since there maybe movement of one or more teams from the Southern Conference, everybody seems to be following the CAA to see who they will invite to replace 3 members that have departed for brighter pastures. Colonial Athletic Association commissioner Tom Yeager has said the CAA will add new members, and hopes to announce them sometime this summer. However, he also said that as of right now (7/13/2012), the CAA has made no offers and there are no applications pending from potential members. So any rumors and speculation you might have heard or read, is just that, rumors and speculation. There is no doubt that the CAA is talking to one or more SoCon members, probably centered on ASU, Davidson, Charleston, and to a lesser degree, Elon and Furman. Of all the teams listed, I feel only Charleston may depart, and that is only because of a perceived better basketball conference offered by the CAA. If the measure of a conference is the number of at large NCAA berths a conference receives, CAA is clearly superior to the Southern. However, with the departure of VCU and Old Dominion from the CAA, the ability of the CAA to pull in at large bids has been severely diminished to the point they are probably now a single bid conference, like the SoCon. This coupled with an important question that Charleston (or any other SoCon team) needs to seriously address is the travel issue for all of their teams. The major increases in travel, seems to me be a serious drawback from departing a geographically compact conference like the SoCo for one that reaches from Wilmington to Delaware. Cullowhee, NC - It's now 48 days until kickoff of Catamount football at Western Carolina's E.J. Whitmire Stadium. The Catamounts open the season on Thursday, August 30, 2012 against Mars Hill College. 2011 (Freshman): Walked on to the WCU football team, making his collegiate debut on the kickoff team against Elon in early October in his only seasonal appearance ... Kicked four times for 232 yards, averaging 58.0 yards per kickoff against the Phoenix. Prior to Western Carolina: Played high school football locally at Smoky Mountain HS. Cullowhee, NC - It's now 49 days until kickoff of Catamount football at Western Carolina's E.J. Whitmire Stadium. The Catamounts open the season on Thursday, August 30, 2012 against Mars Hill College. 2011 (Junior): Did not see game action ... Named to WCU's Dean's List. 2010 (Sophomore): Did not see game action. 2009 (Freshman): Did not see game action ... Connected on both of his PAT attempts during the WCU's 2010 Annual Spring Game. Prior to Western: Played prep football at nearby Tuscola High where he was an All-Mountain Athletic Conference selection ... Was a part of winning 24 games during his prep career, including 11 for Tuscola in 2008 - the most in a single-season since 1995 and tied for the second-most in school history since 1966 ... Ranked among the leaders in Western North Carolina in successful field goals each of the past two seasons. The July 11th edition of Cat Chat on Big Wise radio, with Catamount Head Football Coach Mark Speir. The Southern Conference has announced it's 2012 ESPN3 schedule. Once again, in addition to the six named games, the conference will select two "wildcard games" (November 10 & 17). The wildcard games will be those that will have the greatest potential impact on the league and postseason positioning. "The partnership with ESPN3 gives our fans the ability to watch the games across the country on a variety of different platforms," said SoCon Commissioner John Iamarino. "Starting with a huge intersectional game, we think we've produced a strong schedule. In the initial schedule, only Appy State and GSU appear twice in the SoCon game of the week, all other teams appear once. However this could radically change with the two wildcard games. The Cats are currently scheduled to appear once, an away game at Elon. It's now 50 days until kickoff of Catamount football at Western Carolina's E.J. Whitmire Stadium. The Catamounts open the season on Thursday, August 30, 2012 against Mars Hill College. It's now 51 days until kickoff of Catamount football at Western Carolina's E.J. Whitmire Stadium. The Catamounts open the season on Thursday, August 30, 2012 against Mars Hill College. 2011 (Junior): Played in all 11 games with 10 starts at linebacker, starting the final nine-straight games of the season ... Paced the Catamounts with a career-high 115 tackles on the year, tallying double-digit tackles six times .. Had six-or-more tackles in each game ... Finished third in the Southern Conference in tackles, averaging 10.5 hits per game ... Had six tackles for loss including three quarterback sacks ... Was named WCU's defensive player of the game after posting a career-high 19 tackles including eight solo stops against Elon ... Intercepted his first career pass at Samford, returning the pick 11 yards before fumbling where teammate Brandon Vaught recovered for a touchdown ... Forced a fumble at nationally-ranked Appalachian State ... Credited with two pass break-ups ... Named to the 2011 Southern Conference Fall Academic All-Conference team ... Finished with nine tackles including 1.5 tackles for loss in WCU's annual Spring Game ... Named to WCU's Dean's List. 2010 (Sophomore): Started four of the 10 games in which he saw action ... Ranked third on the team with 66 total tackles including 34 solo stops and 6.5 tackles for loss ... Ranked eighth in the Southern Conference with a 7.3 tackle-per-game average ... Posted double-digit tackles in three games including a career-high 14 against Samford ... Tallied a career-best 12 unassisted tackles at Wofford ... Recorded one quarterback sack in the season opener at North Carolina State ... Named to the 2010 Southern Conference Fall Academic All-Conference team. 2009 (Freshman): Played in 11 games making three starts as a true freshman including his first just three games into his collegiate career ... Ranked inside the top 10 on the team in terms of tackles, finishing with 30 total hits including 17 solo stops ... Twice recorded a then career-high six tackles both in his college debut at SEC-foe, Vanderbilt, and again at Samford ... Recorded a then career-best four solo tackles including his lone tackle for loss against Furman. Prior to Western: Played varsity football at Howell HS under head coach Aaron Metz for two seasons, amassing 108 career tackles including 67 solo stops and three sacks ... Also had one interception as a senior ... Set a team and Kensington Lakes Athletic Association (KLAA) record with 97 total tackles in his final season, tallying a career-best 17 in a playoff game against Hartland ... Named first team All-KLAA, All-County and Defensive MVP as a senior ... Also garnered Ann Arbor News All-Area second team plaudits. Personal: Full name is Jordan "Rock" Williams ... Was born in Columbia, S.C. ... Is the son of Robert "Kent" and Karen Williams ... Has three siblings; Luke, Sierra and Sky ... His brother Luke plays tight end at Louisburg Junior College ... His father, Robert "Kent" Williams, was a defensive tackle at Furman where he finished with 108 total tackles in two seasons and was a part of four-straight SoCon Championship teams (1980-83). It's now 52 days until kickoff of Catamount football at Western Carolina's E.J. Whitmire Stadium. The Catamounts open the season on Thursday, August 30, 2012 against Mars Hill College. 2011 (Redshirt Sophomore): Started all 11 games at center on the offensive line after converting from defense the prior spring ... One of just three Catamounts - and the only on offense - to start all 11 games ... Helped freshman running back Shaun Warren rush for 200 yards and four touchdowns against Mars Hill. 2010 (Redshirt Freshman): Played in five games on defense before converting to the offensive line prior to the end of the year ... Finished with seven tackles along the defensive line including four solo stops ... Recorded one pass breakup in the season opener at North Carolina State ... Recorded two unassisted tackles in the road win at The Citadel ... Tabbed the squad's offensive scout team player of the week prior to the Furman game ... Worked at the offensive center position through the bulk of annual spring drills. 2009 (Freshman): Redshirted. Prior to Western: Was a four-year varsity letter winner for head coach Chris Norman at Shelby HS ... A two-time All-Cleveland County selection, was named the Southwestern Conference Defensive Player of the Year as a senior defensive end ... Amassed 94 tackles with 11.5 sacks and six pass break-ups in his final season ... Also recovered four fumbles, forced two and recorded an interception ... Was a part of back-to-back state championship teams his first two seasons, including a 16-0 record his sophomore season ... All told, helped Shelby HS go 52-9 in his four years ... In addition, played every position on the offensive line except center during his prep career ... Was also a two-year starter on the basketball hardwood where he averaged nearly 17 points and eight rebounds per game. Personal: Full name is Quevalas Monuel Murray, nicknamed "Boom Boom" ... Is the son of Donnell Murray and Michelle Parker ... Has a younger brother, Marcus. It's now 53 days until kickoff of Catamount football at Western Carolina's E.J. Whitmire Stadium. The Catamounts open the season on Thursday, August 30, 2012 against Mars Hill College. Prior to Western Carolina: Four-year varsity letter winner and three-year starter along the offensive line, earning first team all-conference, all-county and all-state accolades as a senior ... Started at center for North Carolina in the North-South Shrine Bowl of the Carolina's ... Was among the top 25 in the Nike SPARQ Charlotte combine ... Was named a team co-captain as a junior ... Earned the Coach's Award as both a freshman and sophomore ... Tabbed with the Most Outstanding Sophomore honors in his first full season on the varsity squad ... Also participated in track & field as a thrower on his high school squad. Personal: Full name is Andrew T. Potts ... Is the son of Thomas and Pat Potts.